As you might have read from our previous blog post there is a pretty extensive update on the way regarding our task dialog. 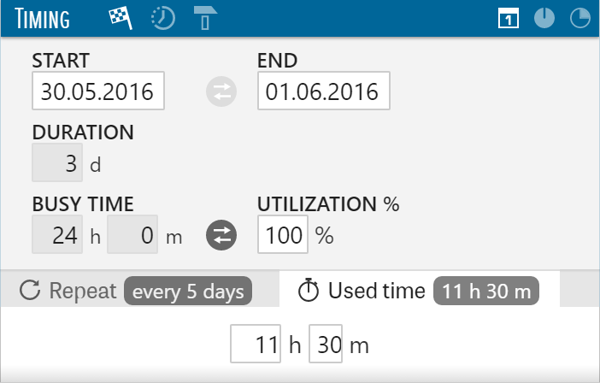 Soon you will have several new ways to plan tasks' time. Not only will you be able to plan tasks by their start and end date, but by which date the task should end, how much time it should take, and how much of Busy time the task should take daily. For a more detailed preview with pictures check our last post. Since the changes described in our last post are already pretty capacious, you might ask what else could there be. As you know, details are what make a whole, and for a puzzle to be complete, every piece has to be in its right place. The rest of our update is going to be all about ease of use - we will try to make our interface more user-friendly. That means all of the features will be out in the open. Easy to find, and more importantly easy to use. As you have already probably noticed, all of the titles have moved above the cells as opposed to being on the left side of them, so that you could write longer and more detailed Custom Data Field labels. 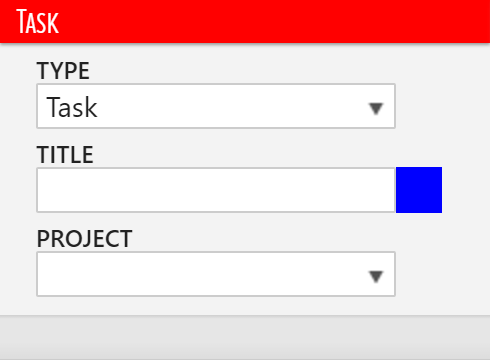 When creating a task, the task Type, Title, and Projects will appear on the left side of the task dialog, so the you could set the basics of a task right away. You can repeat a task under - you guessed it - Repeat. Only now all the options for task repetition (Every, Ends on, and Ends After) are visible as you click on the Repeat button. So no more mystery there - everything is going to right before your eyes. As you can see, Repeat's new neighbor is going to be Used time where it's possible to write down how much time a task really took after completing it. 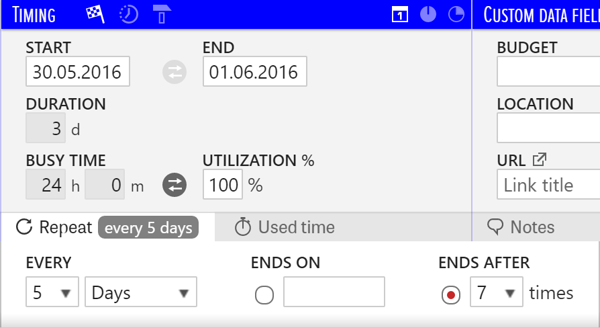 When you have written down the time spent on the task, you don't have to click on it to see it, the hours and minutes will appear right next to Used time button. You can still leave Notes, set Dependencies, and view task History in the bottom of the task dialog. 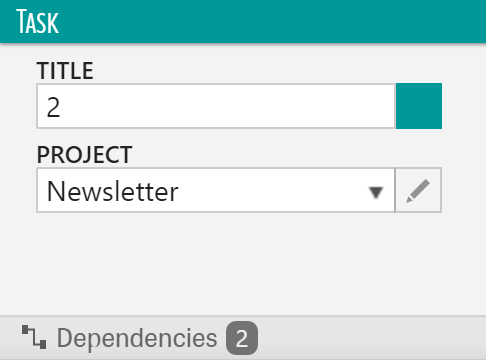 And as it's going to be with Used time, when someone has left a Note on a task or set a Dependency, a number will appear next to the respective button. 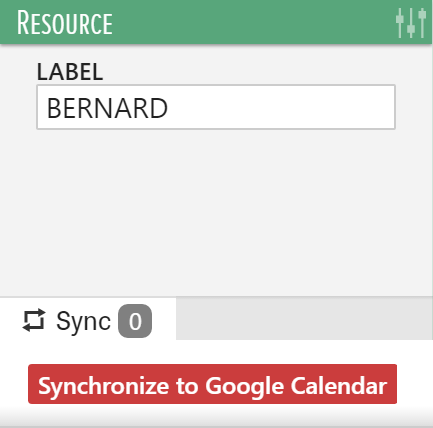 One thing you are definitely going to love is the fact that syncing Google Calendar is going to be a breeze. Every Resource can just do it themselves by clicking on their name, and then Sync. We know that getting used to changes take time, and time is something that you value but once you get the swing of the update you will see how much more flexible it's going to make your resource planning. The update will be live at the end of this week. Make sure to leave a comment to tell us what you think about the update and the new features!